Neoprene Gaming Mat. Design Your Own Board Game Mat, Made In our studio. If you have a serious tabletop gaming hobby, then why not design your own neoprene gaming mat? Forget basic store bought mats, design your own to your exact requirements, and make your gaming worlds come to life. Your new customized gaming mat is handmade from neoprene fabric. 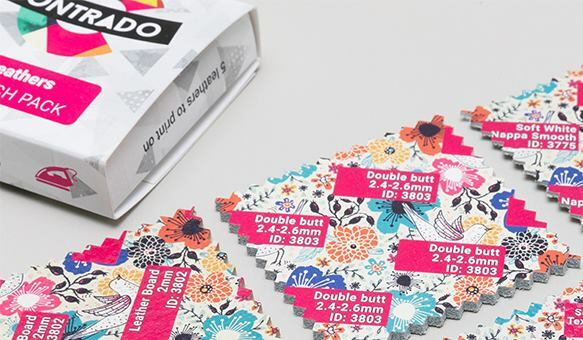 Our skilled technicians print your designs into the fabric of the mat, creating a bold finish. Choose your own custom dimensions and enjoy playing with your mat on a range of surfaces. Thanks to the non-slip backing, it will stay put on both carpeted and hard surfaces. From fantasy worlds to sci-fi and outer space, from historical landscapes to fantasy football, the world of gaming is just as popular and fun offline as it is online. If you love battling it out or even playing card and board games, then you need to design your own customized gaming mat. Make your favorite hobby come to life in a whole new way and upload original designs and artwork, or even existing images that you love. We will print your art onto the neoprene mat creating a permanent HD quality finish. The back of your mat has a non-slip texture, so you can use it on a wide range of surfaces, including carpeted and hard. Customize the size of your gaming mat to be whatever dimensions you want and let the games begin. It all starts with your designs. Once they are uploaded into our system, they are quality checked to ensure they will look perfect once printed. The designs are then sent to our technician team, who use specialist methods to print your design onto the neoprene fabric. Instead of just printed onto the surface, we go into the fibers of the fabric at a very high temperature. This creates a permanent finish that will not fade away or rub off. Once printed, your customized neoprene gaming mat is cut on the edge and a non-slip back is bonded onto the reverse of the fabric. Neoprene is a hardy and durable fabric. If it needs a touch of cleaning to remove the odd bit of dirt or dust, simply wipe clean with a damp cloth. It is safe to clean at 30°C and to hand wash. It can also be ironed up a heat of 120°C. Be sure your iron is clean first. If in doubt, place a clean cloth between the iron and the neoprene to protect it. Your customized neoprene gaming mat is quite literally a blank canvas that is waiting for your unique designs. We print edge to edge onto the face of the fabric, giving you a generous surface area to display your artwork. 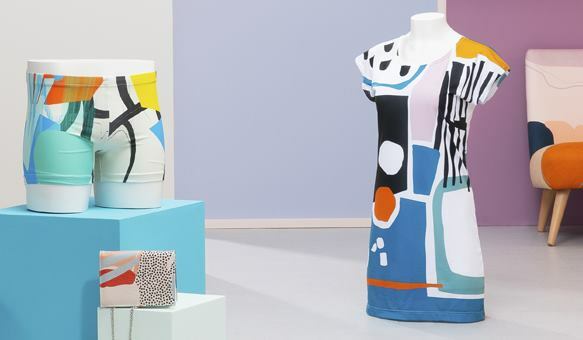 As neoprene is such a wonderful fabric to print on, we recommend taking advantage of its unique print properties. Feel free to be as detailed as you wish. Fine lines and small details will be reproduced with perfect clarity, as will colors. When uploading your design, be aware that we cut on the edge, so please ensure all details are within the guidelines. Stunning Contrado printed a 24"x36" gaming mat for me with a detailed, fine scale city map and it came out great. My players liked the paper version and I'm sure they're going to love this. Fantastic product Fantastic product. Received promptly and of good quality. If you are scratching your head trying to think of what to buy your gaming obsessed friend for their birthday, then we have the perfect solution. Create a custom neoprene gaming mat just for them and help them take their passion for gaming to the next level. You can choose any size you want to make your mat, so go as big and bold as you dare. If you know their favorite game then create a design incorporating important elements and details from it. We guarantee they will have never have seen anything like it before. As well as war gaming, these gaming mats can be used for a whole range of other fun reasons. If you are a shopping center owner looking to bring a bit more fun and interaction into your asset, then why not create a range of larger than life games for your customers to enjoy? You can print huge versions of classic games such as Snakes and Ladders, Monopoly, Checkers and more. Place the mats in different pit stop areas in your shopping center, so customers can enjoy a break from shopping and have fun playing their friends at their favorite games. Open your design portfolio up to a whole new audience and create artwork for your custom neoprene gaming mats. These mats can be used by gamers to help bring their war gaming hobby to life. Create designs based on classic games, but give them your own unique spin to make them stand out from the crowd. The quality of print on the mats is exceptional, with high attention to fine lines and detailing, as well as beautiful color reproduction. Design them in a range of sizes to suit different gamer's needs. What sizes are the gaming mats available in? You can design your customized gaming mat to be any size you want. We understand that different games require different size mats, which is why yours has open input to a maximum size of 51.18" x 82.67". Simply fill in your size specifications on the design interface. What are the mats made from? Your new gaming mat is handmade from our custom printed neoprene fabric. This is a thick, flexible and matt fabric that can be easily rolled and transported. It is a heavy material at 29.49oz and makes the perfect surface for gaming. The back is non-slip. What will my designs look like? 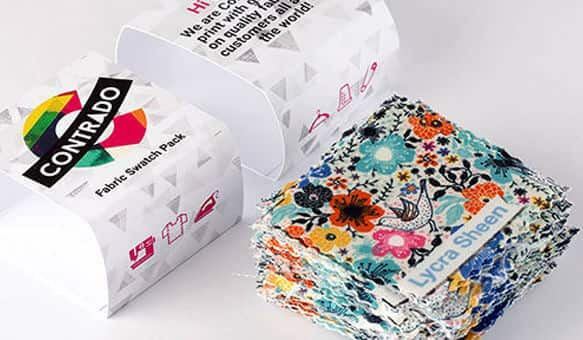 Printing on neoprene is a brilliant way to see your designs in all their glory. The white poly face of the fabric is an excellent canvas for displaying very detailed designs. Fine lines and small details will be crystal clear and colors bright and bold.